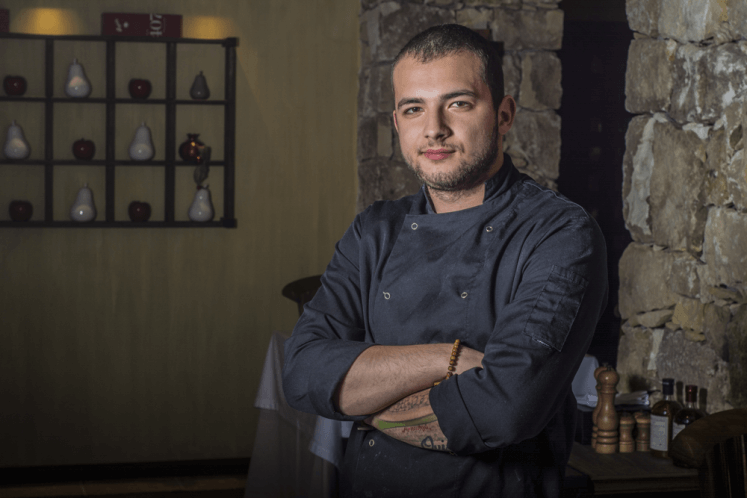 Vassil Spassov is only 22, but has worked professionally in the kitchen for 9 years. His CV is pretty impressive for such a tender age. In 2015, Vassil Spassov won a bronze medal in one of the most challenging categories – "Modern Cuisine" from the Istanbul Gastronomy Festival, in a competition with over 1500 chefs from 4 continents, including Michelin star decorated cooks. And also – he took part in one of the most popular young chefs competitions in France and afterwards received a whole bunch of apprenticeship offers. The road took him to Michelin-star decorated restaurants, and via Denmark and San Sebastián, before landing him at Zornitza Family Estate.